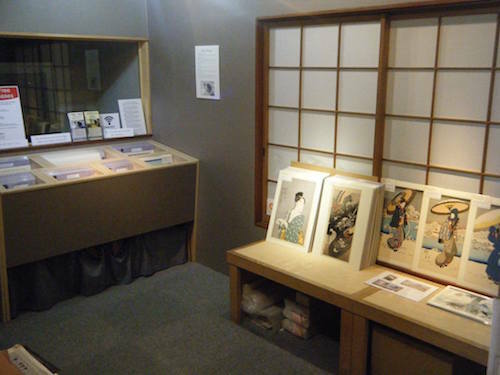 After opening our Asakusa shop in the fall of 2014, a whole new group of people became familiar with our work. 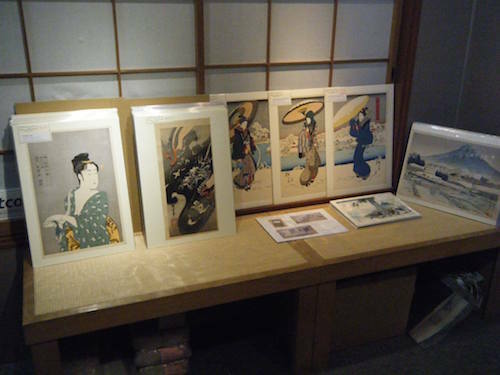 We put all our prints into the shop, as well as the Ukiyoe Heroes that we make in collaboration with artist Jed Henry. But this has not provided enough variety of choice to satisfy the many visitors to the shop, so in the fall of 2016, we opened a new 'Flea Market' section. This part of our shop is full of interesting prints sourced from estate sales and dealer auctions. Basically, we now have two main types of prints: 'new' (carved and printed by ourselves), and 'used' (the Flea Market collection). We are in the process of getting much of that collection online, and you will find a selection of those prints linked below. Note that while our regular prints can be purchased through the shopping cart directly, the Flea Market prints are unique, so to avoid 'double purchases', they are available by 'request'. Select items in which you have an interest, put them into the list, and we will reply with current availability.